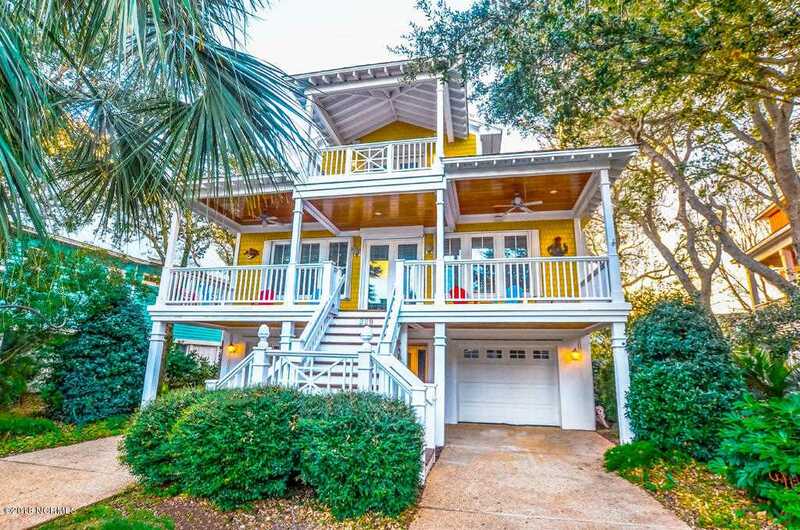 Spectacular 5-BR, 4.5-BA home in Seawatch. Lots of privacy and a short walk to the beach. Professionally designed interior offers exquisite wood floors and tile work. Contemporary kitchen with custom cabinets, gas range, stainless appliances & pendant lighting. There is a gas fireplace with a custom mantel and central vac. The master bedroom in on the main level and provides a walk-in closet and large master bath. There are 2-BRs, 2-BAs and a bonus room on the third level. The ground level has 2-BRs and a full bath. Elevator access on all levels. From and back decks, and an outdoor relaxation area with hot tub. Many nice touches inside. A two car garage provides plenty of room for storage. Community offers pool, tennis, beach access and playground! Sold furnished as shown (less golf cart). Lot Size: 0.13 Acres / 5663 Sq. Ft.
SchoolsClick map icons below to view information for schools near 229 Seawatch Way Kure Beach, NC 28449.